This post is part of a sponsored collaboration with Scholastic. All thoughts and opinions expressed are honest and my own. While children everywhere are preparing to celebrate the end of school and the arrival of summer, we all know that doesn't mean that everything and anything educational can be completely ignored until the next academic year begins. But did you know that studies show that an increase in summer learning opportunities leads to improved grades, higher graduation rates, and better preparation for college? We've all heard of the "Summer Slide," but how many parents take active steps to prevent it? This summer, as well as ensuring that your child's skills don't experience a setback, ensuring easy and continued access to books for summer reading is even easier (and much more fun) thanks to Scholastic's Summer Reading Challenge. Now in its 9th year, the Summer Reading Challenge program is a free, online/mobile reading program that helps prepare kids for back-to-school by encouraging them to read every day all summer long. Kids simply keep track and log their reading minutes (online and via mobile) and, along with their peers, see if the cumulative amount can beat the world record! In 2014, Scholastic inspired hundreds of thousands of kids to set a new record for summer reading of 304,749,861 minutes! How cool is that? This year Scholastic has added a unique twist to the Summer Reading Challenge by partnering with Energizer and giving it a theme of "Power Up & Read" Powered by Energizer®, encouraging families everywhere to find innovative ways to discover the power and joy of reading. Throughout the summer, kids will unlock 12 original short stories by bestselling children's authors as they reach reading milestones, enter monthly sweepstakes to win fabulous prizes, and earn digital rewards when they complete weekly reading challenges. 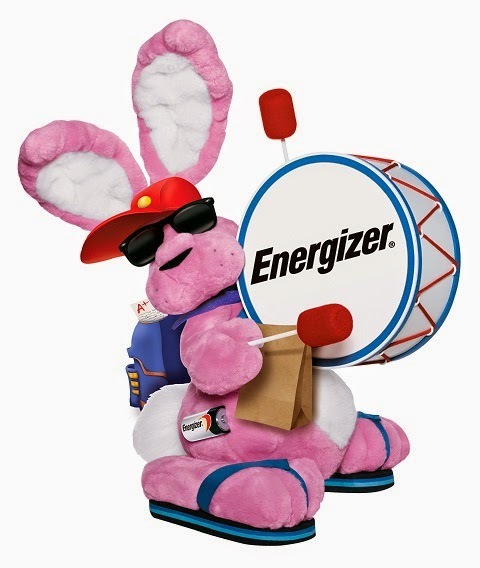 Sign up began earlier this month and the Challenge runs through September 4, 2015, so head over and get involved with Scholastic and the Energizer Bunny today! 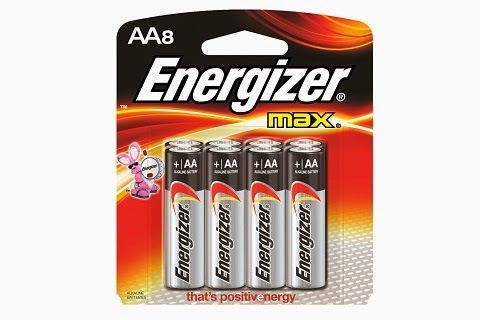 Energizer and Scholastic have also extended their partnership to create their "Power the Possibilities" campaign, which gives parents the tools they need to unlock their child's talents, fuel their ambitions and set them up for future success. Right now when you buy any specially marked pack of Energizer brand batteries, you'll find an instant win scratch-off game for a chance to win one of thousands of prizes that will power discovery and learning. 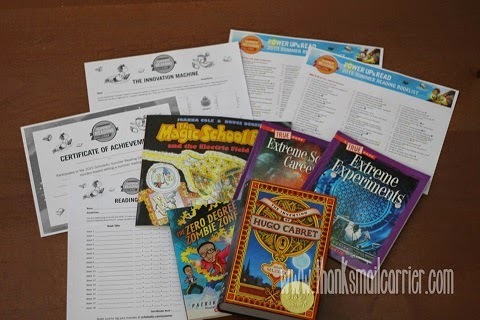 Prizes include a family trip to New York City, a Scholastic Study Corner Makeover, a tablet with Scholastic apps, a library of Scholastic books and more! Everyone who plays can also download free digital stories for their family, so it's pretty much a win-win for all! Both of my children absolutely love reading, so it was a no-brainer that we headed right over to Summer Reading Challenge website and couldn't wait to sign up. Right off the bat, I appreciated the way that Scholastic has divided their site into three clear categories for kids, educators and parents. Whether you are visiting to log reading minutes, discover book lists, track reading progress or more, it's all only a click or two away. You'll also find great information from parenting expert, Maggie McGuire (VP of Scholastic Parents Channel – Scholastic.com), who provides info and book choices for all ages this summer in support of the Scholastic Summer Reading Challenge. Looking for just the right way to get your own kids clamoring to read this summer? Check out Maggie's unique tips! In addition, Scholastic Parents has an extensive collection of additional activities and ideas to help kids discover the power and joy of reading and will help you encourage them to continue all summer long! Are you ready to read with us? My girls are thrilled to be adding up the minutes that they spend immersed in their books and are even more excited thanks to the reading lists, certificates, activities, and more that we received from Scholastic. They have both been reading at least 15-20 minutes minimum per day during the school year, so our goal is to continue (and hopefully increase) that this summer as well! What parent wouldn't be thrilled knowing that their children can't wait to take things even further in upcoming months as we find even more ways to Power Up & Read? Hooray for reading! Stay tuned! In the meantime, head over to sign up for the Summer Reading Challenge and amp up the excitement by following Scholastic on Twitter, Liking the Energizer Bunny on Facebook and Scholastic on Facebook, and following the #SummerReading hashtag throughout social media. Now let's get reading! I love summer reading programs, but didn't know Scholastic had one. Thanks for sharing. I'm going to sign up for it. My girls did a summer reading program through the library last summer. They loved earning while reading! I look forward to these reading programs with my grandchildren each year. It is something special we do together.